After private firefighters helped save Kim Kardashian and Kanye West’s mansion earlier this month, there’s been intense focus on the growing industry. This post originally appeared in the Nov. 30 Sacramento Report. Get the Sacramento Report delivered to your inbox. From the left came visions of a dystopian future where private fire companies save wealthy homes while the poor burn as underfunded public fire departments struggle to respond. (To some extent, that future already exists: A recent study found that wildfires disproportionately affect the poor and people of color.) On the right and from libertarians came arguments that people who build in fire-prone areas are now bearing the costs of those risks. State lawmakers have been trying to get their arms around the private firefighting industry starting at least last fall. Some homeowners and companies pay these private firefighters themselves, while home insurance companies pay others, because insurers would rather save a home from burning than pay to rebuild it. 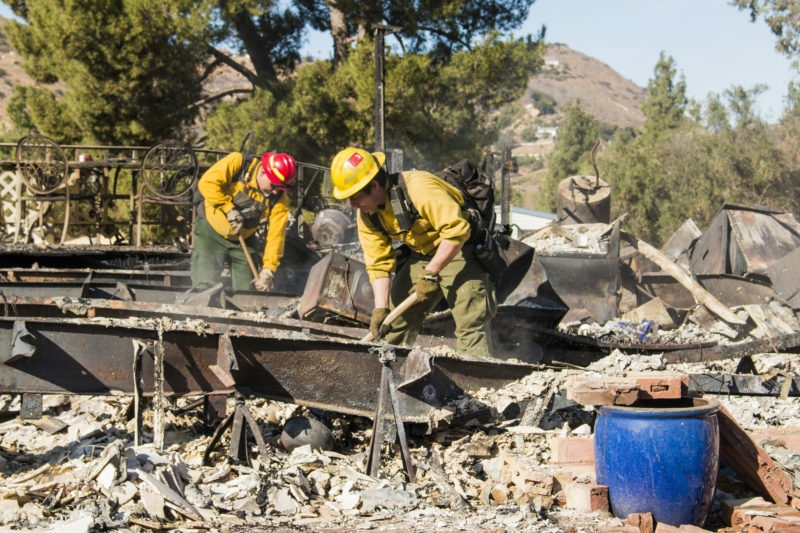 Spurred by what she called confusion at the scene of last year’s fires in Santa Barbara, Assemblywoman Cecilia Aguiar-Curry backed a new law that regulates private firefighters’ response. She said some homeowners watched firefighters driving by their burning homes, not realizing those firefighters were private contractors. “We don’t have a problem with them, it’s just that they show up and the community doesn’t understand how it works,” Aguilar-Curry, a Wine Country Democrat, said in an interview. Among other things, the law requires private firefighters to check in with government officials leading the fire fight, heed evacuation orders those officials issue and carry GPS devices to ensure that they can be tracked. Public firefighters unions supported the bill. The bill faced no formal opposition, though San Diego Gas & Electric expressed concern with wording in early versions, because the utility uses private fire brigades to accompany its electrical workers. Gov. Jerry Brown signed the bill into law in September.